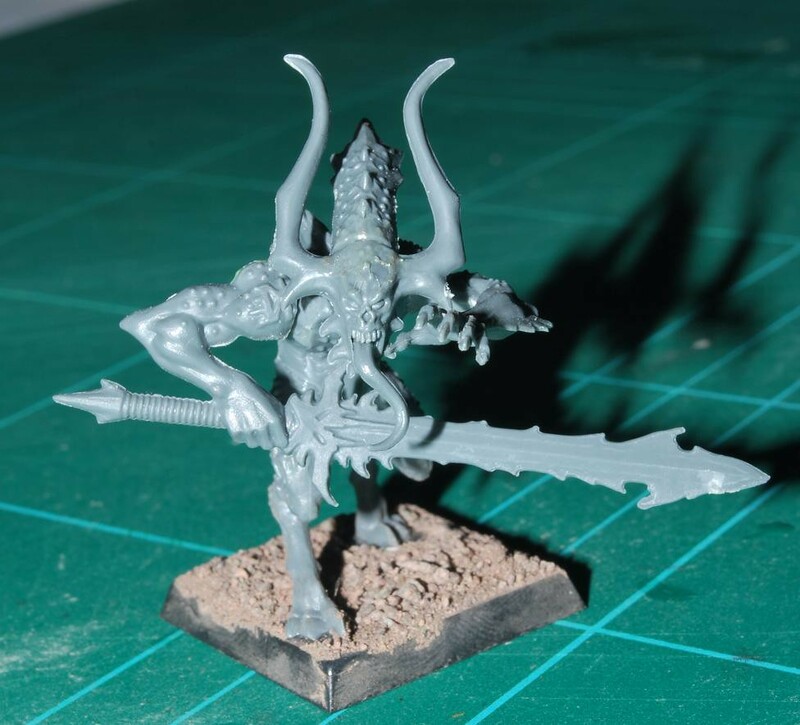 Here's a small sideline project a new hefty unit of Bloodletters. 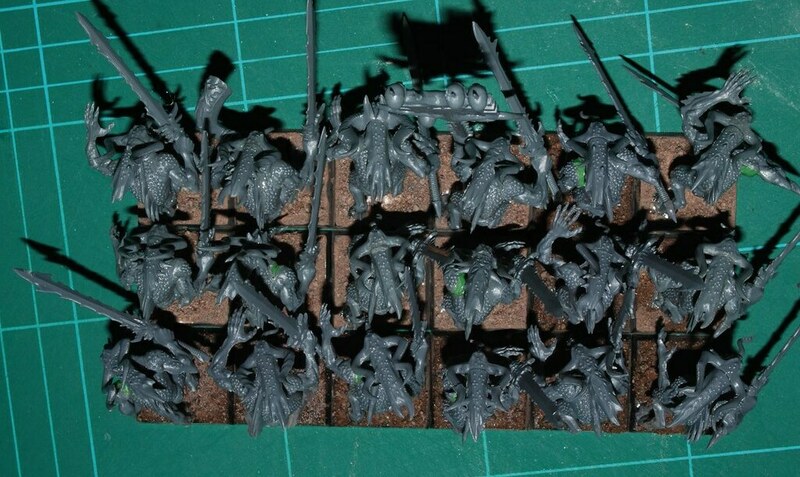 I've had a box of these around since they were released, now with 8th edition and the new Daemon book I thought I would bulk up the numbers and paint these up. 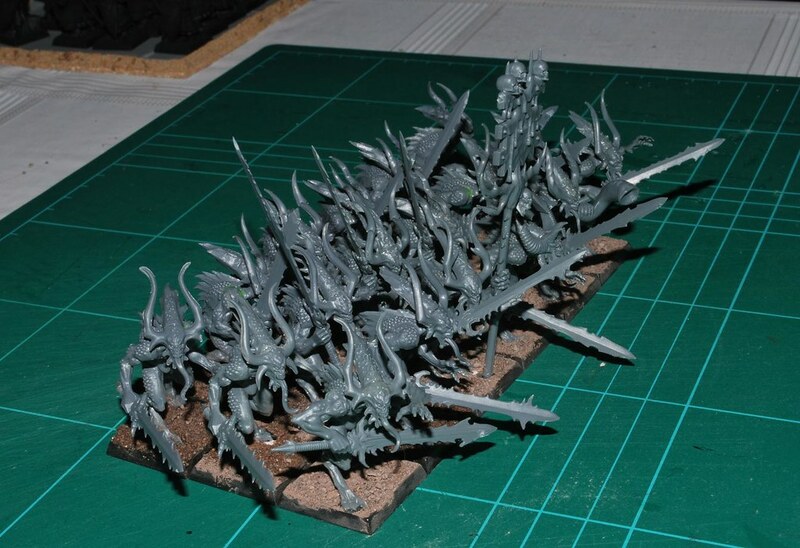 These models are great, but as anyone that has tried to rank up a unit of even 10 of these will know, they are...uncooperative! 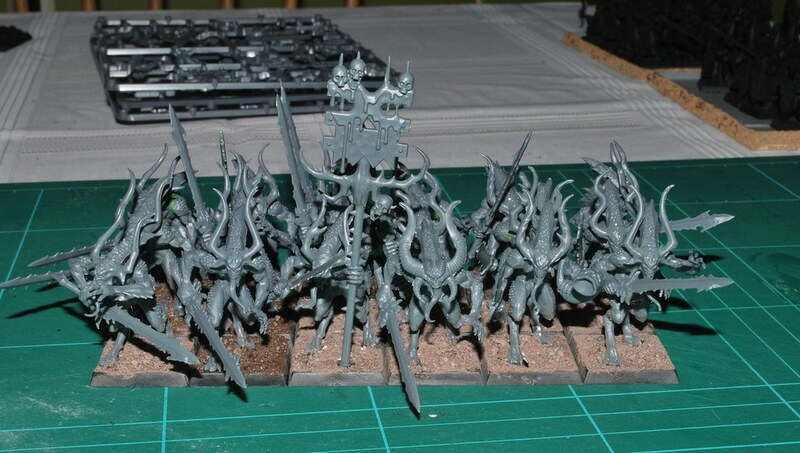 So a unit of 18 (6x3) was going to be a challenge as must models will be trying to either dismember two others with the insane blade they carry or at the least trying to lick the model in front in an inappropriate manner. 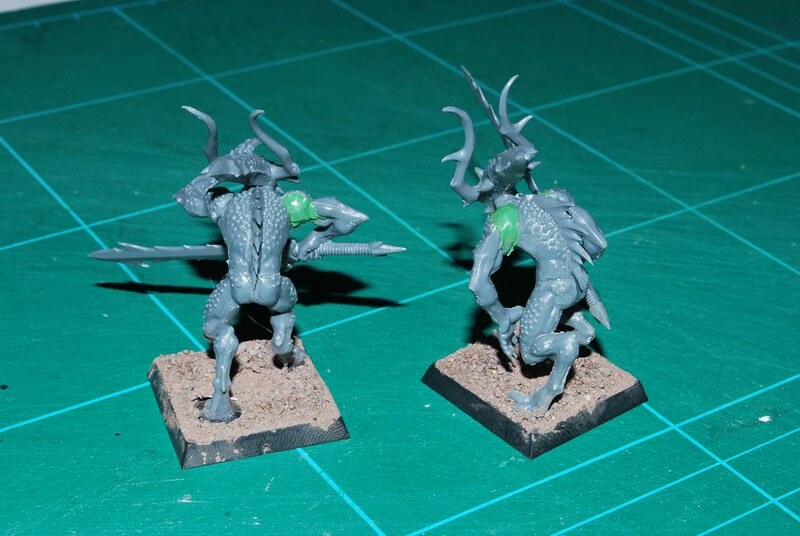 First tip for remedying this obviously involves completing the models first before sticking them to the bases. 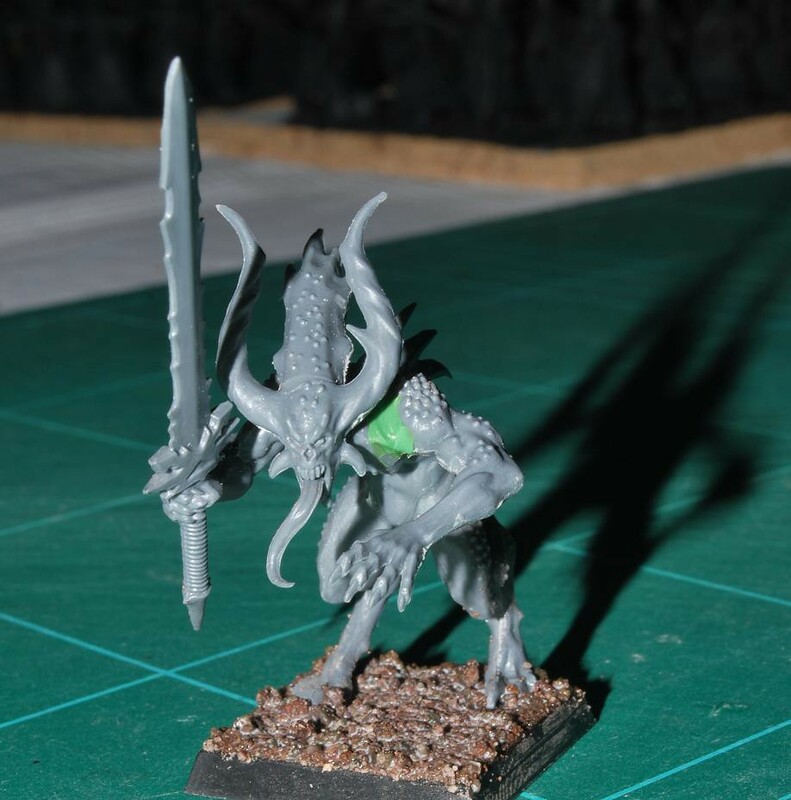 This did work out for the first of the models, but I quickly reverted to reposing many of the arms. 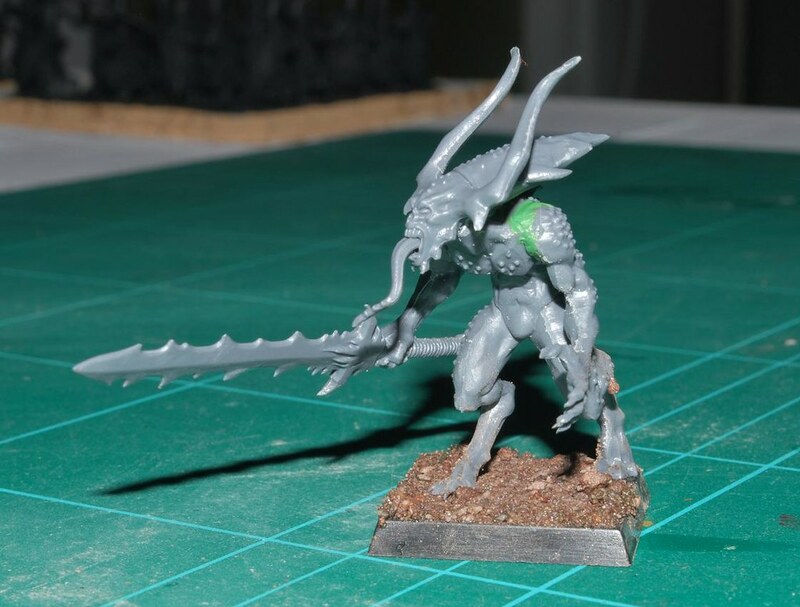 The original poses of the models are very limited and generic, you will soon find that even with the quickest of modifications you will get far more dynamic character from these fearsome looking models. There you have it! 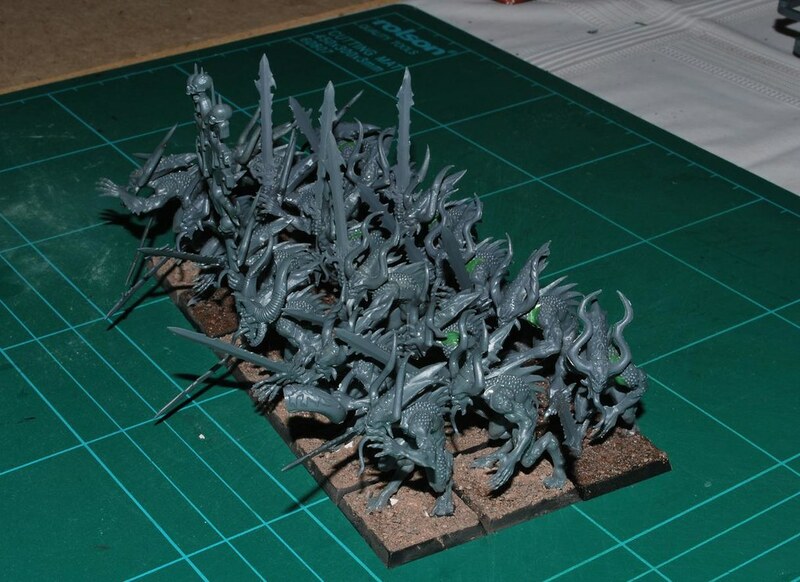 These are now undercoated patiently waiting an inspired red paint job, will post when I accomplish that. When asked what they thought of the 3 ranks and remodeled arms, the answer was unanimous.